A yarn weight table to figure out which crochet hooks and knitting needles you’ll need and so to work out how much yarn you’ll need…? 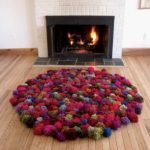 Who of my readers would not want such yarn table??!! 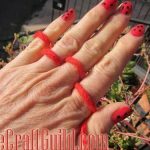 How to use this crochet – knitting – yarn chart? Find a pattern calls for a particular yarn but it’s sold out? No problem. Merely choose a different yarn that is in the same weight or size ~ as shown in the below chart. E.g.substitute a size 3 yarn with a another size 3 yarn. 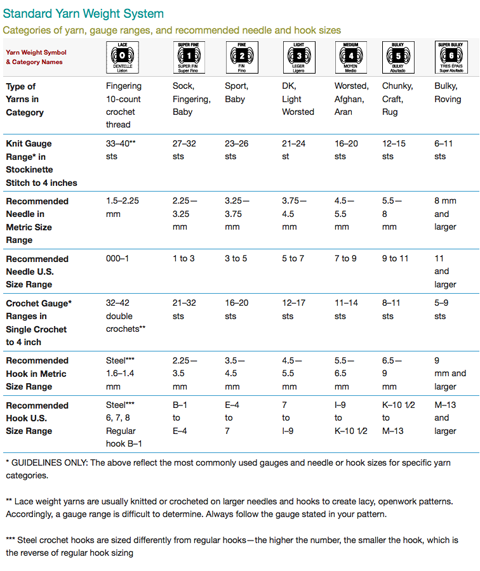 Furthermore, this knitting and crochet yarn chart also indicates the suggested hook size and gauge for each yarn size. Perfect piece of reference. Be sure to Pin/Bookmark this page! 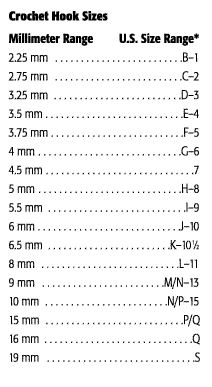 And if you are not familiar with the US crochet hook sizing, here is an additional crochet hook conversion table which compares crochet hooks sizes in mm with US-numbered crochet hook sizes. BTW, These are of a collection of excellent charts for standard crochet hook sizes, yarn weights, clothing sizes, and much more. To learn more details about hooks, materials they’re made of, etc, browse here in the supplies section of Craftsy. And while I’m at it, I thought to also share this source-less chart of crochet symbols that you can find in crochet chart patterns. Great resource to fall back upon when you get that chart for something and you can’t quite figure out how to do it. Use the search button on the top right and you can find ANY pattern! I am 74 years old and your use of grey lettering is hard for us older crafters to read. Also, the chart for the new “symbols” for crochet stitches is awesome but cannot be used unless we go to your web pages and with memory issues as we get older, who will memorize that? Can you present it in a way that it can be printed and still have type size large enough and dark enough for it to be read by older folks, please? 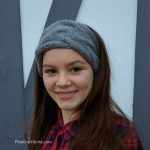 I would greatly appreciate your assistance as this will just make life a bit better longer. Thanks for your consideration.